Today I have 3 DIY’s! All of the three differ in ingredients but provide the same end result: moisturized curls/kinks/coils! So I decided to throw together three recipes in one post/video because I frequently get questions about using different ingredients and writing a post/making a video of a mix with alternative ingredients so this way I hope there is something for everyone. The main focus of change in the mixes is the use of humectants since they can be a hit or miss for many of us. For those that are unfamiliar with humectants, (putting it simple) they are ingredients and or chemicals that help to attract moisture in the air (e.g. humidity) to the hair. While this sounds awesome, it is important to note that the weather can play a huge role in whether our hair likes the use of them or not. You need to find a balance of “optimal” humidity because if you live in an area with high humidity this can cause the hair strands to swell up since they become over moisturized. This can cause frizz, can make the cuticle of the hair raise which can cause friction and thus cause tangles. On the other hand if you live in an area with low humidity, this can cause the opposite effect. The use of humectants would draw moisturize in the hair outwards and can cause dryness! Honey, Agave nectar, Aloe Vera Juice, Vegetable Glycerin, Propylene glycol, Sorbitol, Hydrolyzed silk protein, Fructose, Sodium PCA, Panthenol. You basically just have to add all the ingredient together in a bowl and stir really well (using a whisk can help) and then pour into your spray bottle. 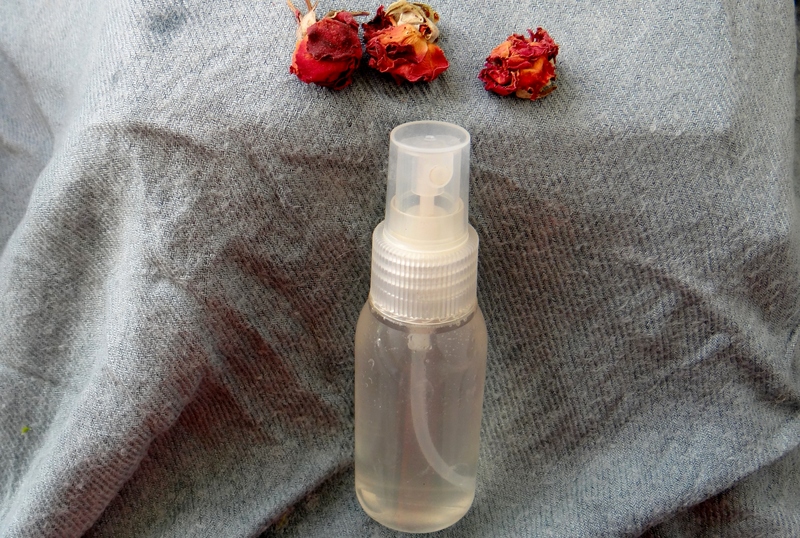 I like to use the spray to remoisturize my hair at night when I want to “reset” a style. E.g. if my hair was in a braid out for a few days and feels a little dry with the curls loosing shape and gaining frizz, I spray my hair with the spray and re-braid for the night. The next morning i take down my hair and voila, a new looking braid out! I choose not to use a styling product again because I feel like the spray helps to “reactivate” the styling/holding product (but this is a personal choice). Make sure to shake the bottle each time really well to ensure all the ingredients are stirred together. You MUST store the mixes in the fridge, regardless of which recipe you choose you have to store it in the fridge (maximum 2 weeks). I suggest making small amounts and remixing since each individual recipe is easy to make, this way you are not wasting anything with the mix going off before being used up. NOTE: In the examples I used Virgin Coconut Oil; Coconut Oil solidifies in cold temperatures therefore if you use Coconut Oil and notice white lumpy blocks of solidified oil this is normal. My suggestion is to either take the mix out of the fridge beforehand so that the coconut oil melts (if your house is warm enough) otherwise hold the mix (while in the spray bottle) in a cup of warm water for a few minutes so the oils melts. I have a compilation of benefits of each of the ingredients used in the recipes here. This entry was posted in DIY Curl Activating Spray, DIY Curl Refreshing and Activating Spray, DIY Curl Refreshing Spray, DIY Hair Moisturizing Spray, moisturizing hair, Moisturizing Leave-In Conditioner and tagged curl enhancing spray, DIY, DIY Moisturizing Spray, DIY spray for hair, Hair, How to moisturize natural hair, Moisturizing natural hair, Moisturizing spray, natural hair, Spray to moisturize natural hair, team natural on September 16, 2016 by Maicurls.